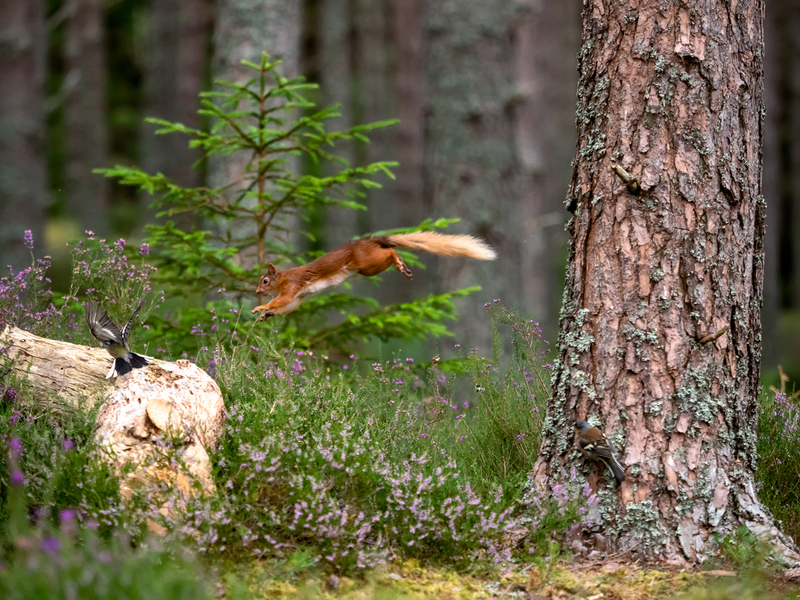 This little squirrel would leap from the tree directly onto the tree stump as opposed to running along the ground. So I thought this was an opportunity to capture something that it was only doing naturally. On this occasion the chaffinch was given a run for it’s money as the squirrel lept on and chased the chaffinch. I love how the other chaffinch is peeking round the tree observing the commotion.